Weight loss therapy is not a one size fits all. Over 78.6 million obese adults are in the U.S. and balloon therapy is a new class of non-surgical weight loss treatment that offers patients a path that does not require traditional surgery. It is an option for patients who are not appropriate for or considering traditional surgery, but for whom diet & exercise or pharmaceutical interventions have not worked. 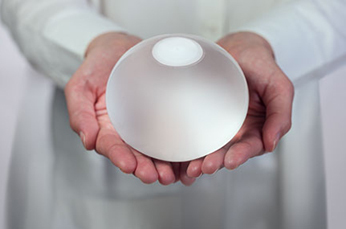 The ORBERA™ balloon is part of the ORBERA™ Managed Weight Loss System – a comprehensive, non-surgical two-part program that starts with the durable balloon filling space in a patient’s stomach to reinforce proper portion control. Once the balloon is in place, the patient receives an individually tailored support program through the ORBERATM Managed Weight Loss System team of experts – which may include a dietician, psychologist and exercise physiologist. Coaching takes place over 12 months (even though the balloon is removed after six months) and is designed to help the patient develop sustainable, healthy habits that helps to break through weight loss barriers to meet long-term weight loss goals. There is limited weight loss support and options other than diet and exercise and traditional surgery for weight loss. Now with the approval of ORBERA™, there’s a new option available that fills the treatment gap and gives us a new weight loss option. For more than 20 years, the global medical community has been using intragastric balloons from the makers of ORBERA™ to help thousands of people lose weight. More than 220,000 ORBERATM balloons have been distributed worldwide in over 80 countries. Obesity is a chronic disease and the development of new, minimally invasive solutions, like ORBERA™, will help transform this epidemic and treat patients with lower BMI before their disease progresses and presents the need for more invasive treatment.